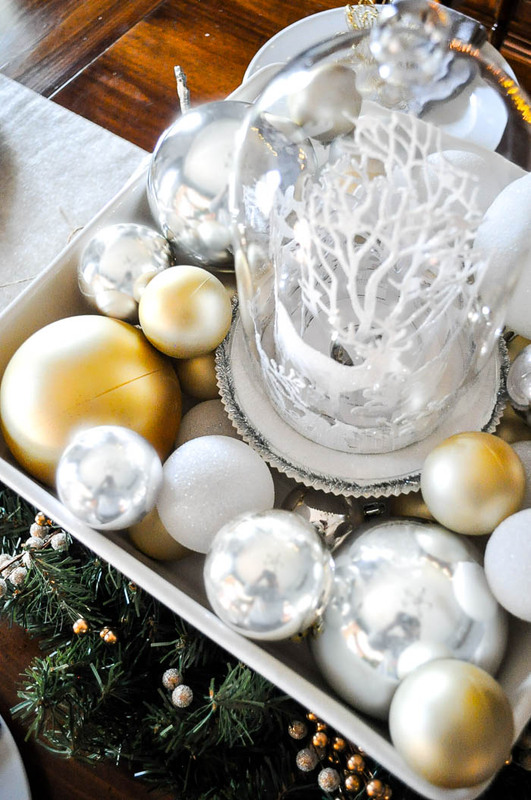 Create a Winter Wonderland with a gorgeous blend of silver, soft gold, and white! Hi, Nerds!! We are nearing 3 months to the big 3-0. Unlike my husband, this doesn’t scare me or make me feel old. It does make me a little reflective though, but, as a trained teacher, reflection is second nature. I feel like the 20s – more than any other decade – is about defining yourself. It has been a decade of transformation. I went from single college student to attached graduate student living at home to engaged teacher to married entrepreneur. That is a LOT of change. My apartment is in need of a complete update! When we first moved in, I was all about the bright color combinations. We have reds, blues, greens and yellows tossed around everywhere. It was great for an overwhelming white apartment that we couldn’t paint but it doesn’t feel like me anymore. We are anticipating a move in 2016 so I’m holding out a change until then, but I decided I could at least update Christmas this year to reflect my more subtle sense of style. While I still love a good pop of color, I am more fond of neutrals and a combination of industrial elements with soft, cozy elements. At Home at the perfect combination of themes for me and I am absolutely loving my new holiday decor. It is a combination of Snowcapped Scene, Lavish Luxe, and Heaven and Earth. I have pulled elements from all three, focusing on white, silver, and a soft gold. 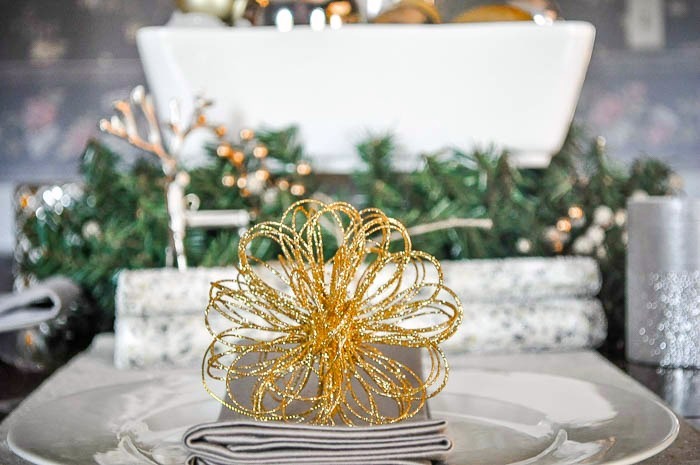 My favorite element of it all is the centerpiece for the dining room table. I found a fabulously big white serving bowl on a stand for the middle and filled it with ornaments and this gorgeous domed winter scene. It all fit perfectly into a wreath which I adorned with two different golden berries and foliage. At Home has a huge collection of accents like this in different colors. After adding the golden table runner and a couple other accent pieces, the center piece was exactly what I wanted. But what about the plates? I didn’t want to do anything too complicated but it couldn’t be plain with such a stunning centerpiece either. 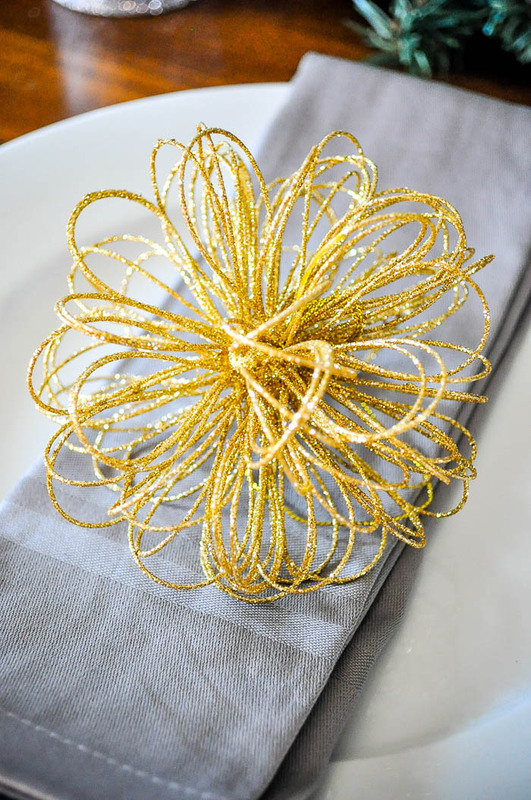 I used my white plates and layered gray cloth napkins and a gold ornament on top. It was an easy way to add all the colors in the decor to the plate. I love adding a few other key pieces to the room beyond the table, too, because it gives it a holistic feel. 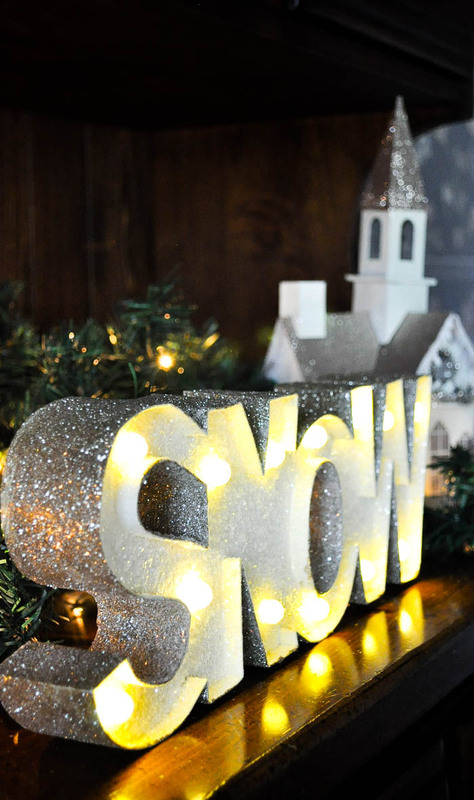 I decided to go with some greenery and lights (a staple in my family), some glittery led candles that comes with a remote, a light up “SNOW” and a cute little church. Because I concentrated on a few key colors and themes from At Home, everything seamlessly matched. 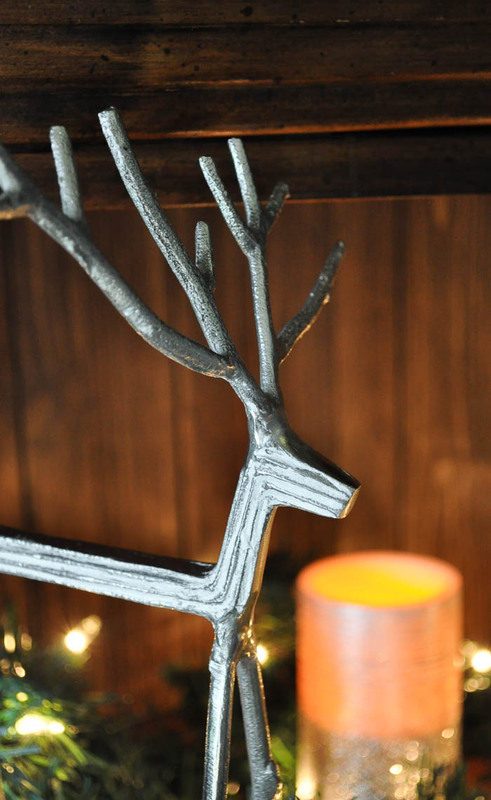 Oh, and can I just mention how much I love these metal reindeer?! LOVE them! 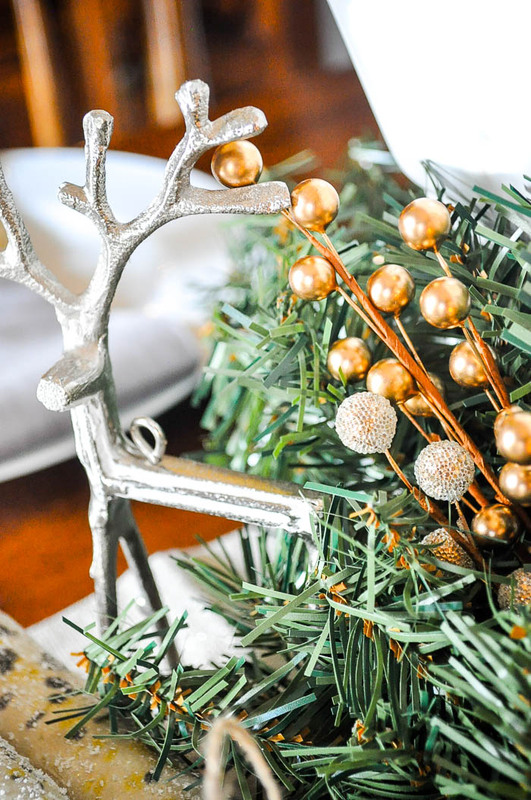 I am so happy every time I look at this new Mixed Metallics Christmas Decor! It really feels like me. 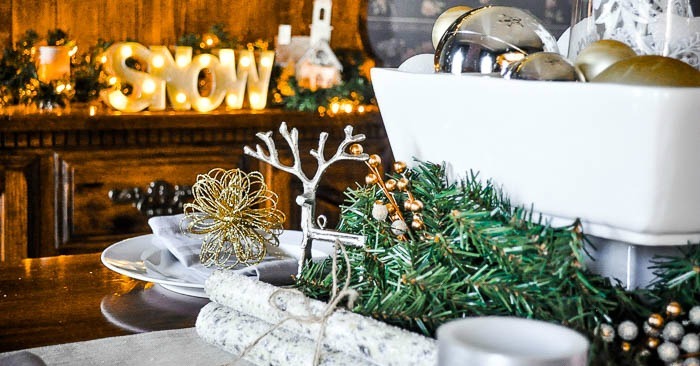 With so many At Home Christmas Decor themes available, I am confident you would find something you love, too! Something that perfectly says “you”. Plus, while you are there, you should check out one of the 101 varieties of Christmas Trees that they sell. So many fun options – especially colors – that I think it might be time to add a new Tree for Me in our house this year! I’m thinking a tree in the bedroom or a nerdy tree for the both of us. Want to see more Christmas ideas? 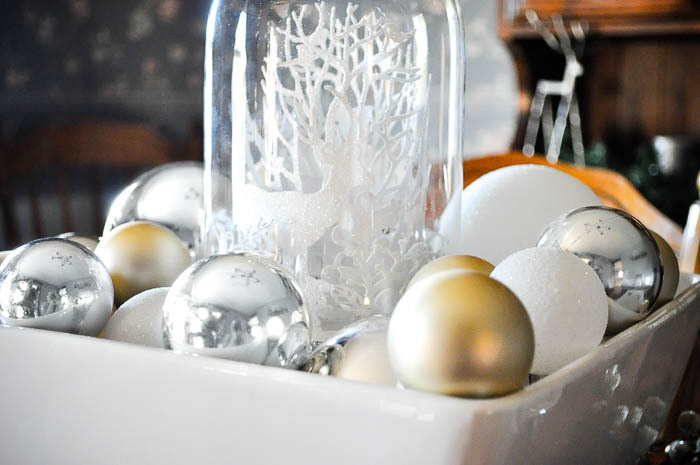 Make sure to check out the Berry Christmas Mantel I decorated for my mom using the At Home Berry Platinum Collection.